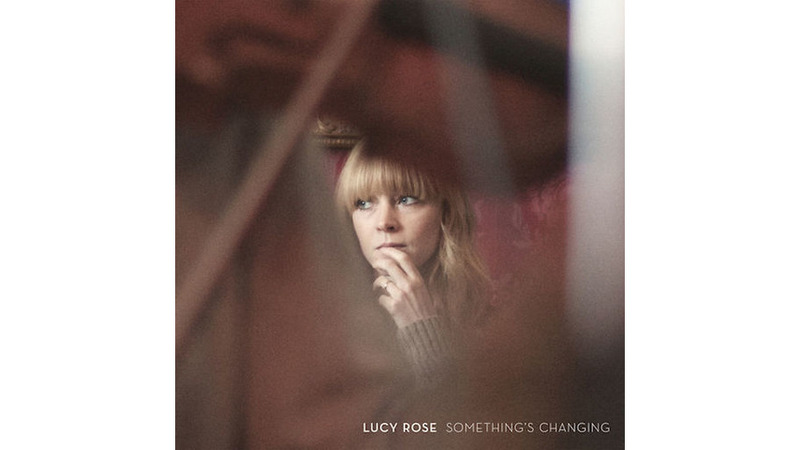 For the past five years, Lucy Rose has mastered the art of intimate folk music. “Shiver,” her 2012 wistful look back at heartbreak, was enough to draw in — one that grew even greater after it narrated the ending of Hannah and Adam’s tumultuous relationship on Girls. But three albums in, the British singer-songwriter has found a confidence that was lacking perhaps because she hadn’t enough life experience. With Something’s Changing, Rose seems to have found her rhythm. After discovering she garnered a large audience in South America thanks to the beauty of Twitter, she made a proposition: if her fans down there would book her a show, she’d visit awhile. The power of the internet worked, and she spent two months on a journey of self-discovery exploring Ecuador, Peru, Chile, Argentina, Paraguay, Uruguay, Brazil and Mexico. With the help of her husband, a guitar, a camera and a backpack, she played a string of free shows, crashed with fans and subsequently found inspiration in her craft once again. For Rose, the way to combat self-doubt was to understand why she was meant to do music. A big part of Something’s Changing is the documentary that goes along with it as it represents of Rose questioning her passion for music and finding her way to her latest record. But it’s also something that’s echoed in the oldest song on the LP (“No Good At All”), which finds Rose at a crossroads with a glimmer of hope. She considers starting over — the song titles from start to finish chronicle her trip soul-searching throughout South America. With the lilt of Joni Mitchell and a hint of melancholy that parallels contemporaries like Courtney Marie Andrews and Daughter, Rose seems to have discovered her niche in indie-folk songwriting. Opening with an intro that makes her sound like a more soprano-version of James Blake, Rose is a beam of light even during moments where she feels like giving up. It’s this sentiment that’s weaved within the album. While her debut Like I Used To had more barebone production, Something’s Changing sees her focusing on vintage guitar-rock (“Soak It Up” and “Second Chance”) and striking balladry (“Moirai” and “Floral Dresses”). Rose intended to make the record all on her own, but ended up collaborating with producer Tim Bidwell; the duo made the LP in less than three weeks. Perhaps what makes Something’s Changing so wonderful is the co-working that created gorgeous harmonies throughout the record from The Staves, Daughter’s Elena Tonra, Bear’s Den’s Marcus Hamblett and Matthew and The Atlas’ Emma Gatrill. Something’s Changing is a culmination of much-welcomed growth for Rose. She has the ability to make listeners feel: when she’s struggling to find comfort in her own skin, finding joy in life and questioning her path. Her most recent body of work shows Rose finding her sense of self, but makes it relatable to listeners. It’s that connection that solidifies Rose’s career on the folk world.